We has always been good at adapting to the trends in many different industries. A new industry, which we have focused on, is the modular housing/pavilion building industry in which automation is a natural development. As we announced at the beginning of the year, we “landed” a big order from Derome Plusshus in Sweden. Derome Plusshus produce modular wooden houses with modern and rational volumetric technology. The enterprise deliver industrially optimized and purpose-built apartment complexes and group houses to professional customers in Sweden and Norway. 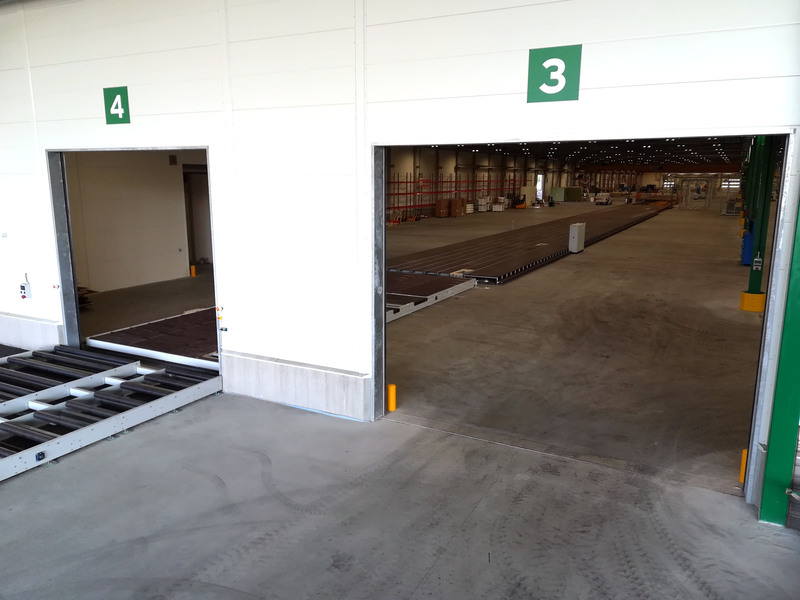 Inspired by the assembly line production used in the car industry Derome Plusshus changed the whole concept of building houses when planning the new factory at varberg/Varö. 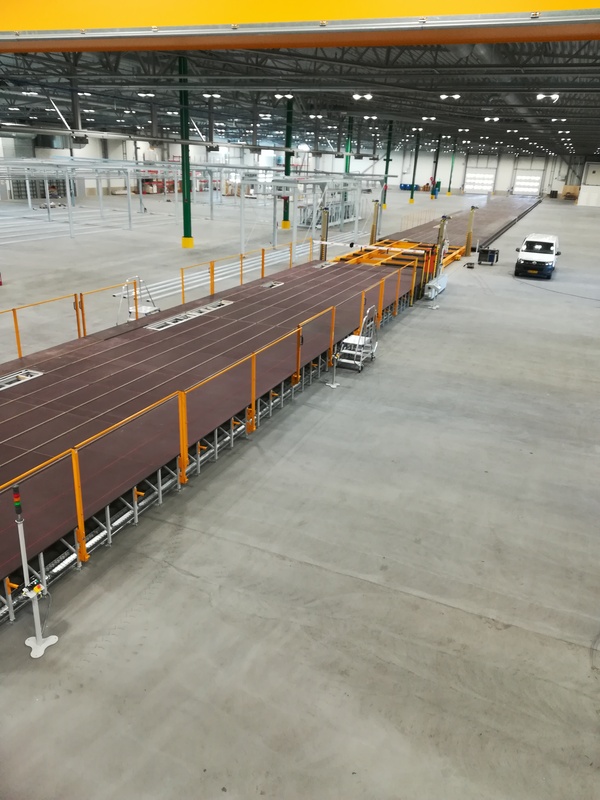 All building modules for a house are now installed on a long handling system, which includes very long and wide chain conveyors and other handling equipment, so that at the end of the line a fully completed house is ready for pickup by truck. All modules are based on Q-System’s standard modules – only on a larger scale. 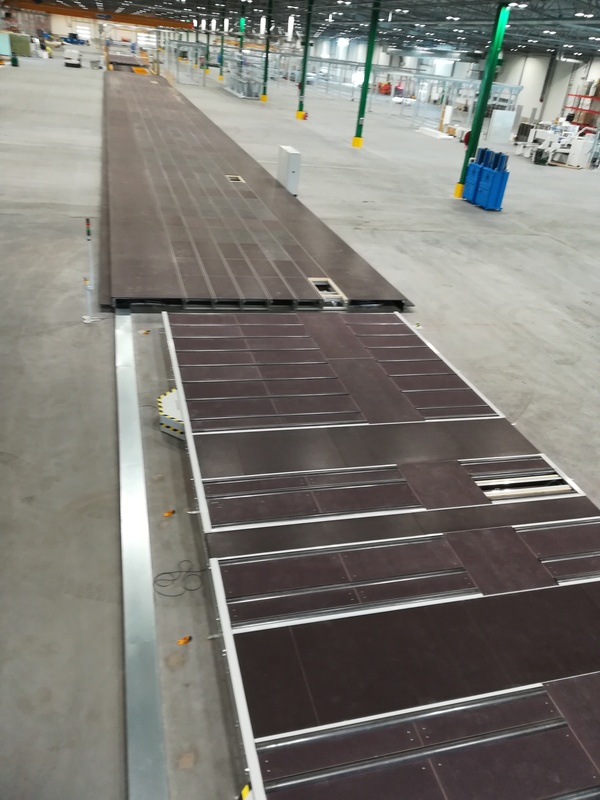 Q-System have among other things developed the modules that can handle items up to 12,000 kg. The bottom frame of the house is placed on the first station of the production line. Here the kitchen and the bath rooms are installed. Afterwards the house is transported onto the lift, which is then raised so that sewers and other piping under the house can be installed. Afterwards the house is lowered again and transported ahead to the next stations for further assembly. 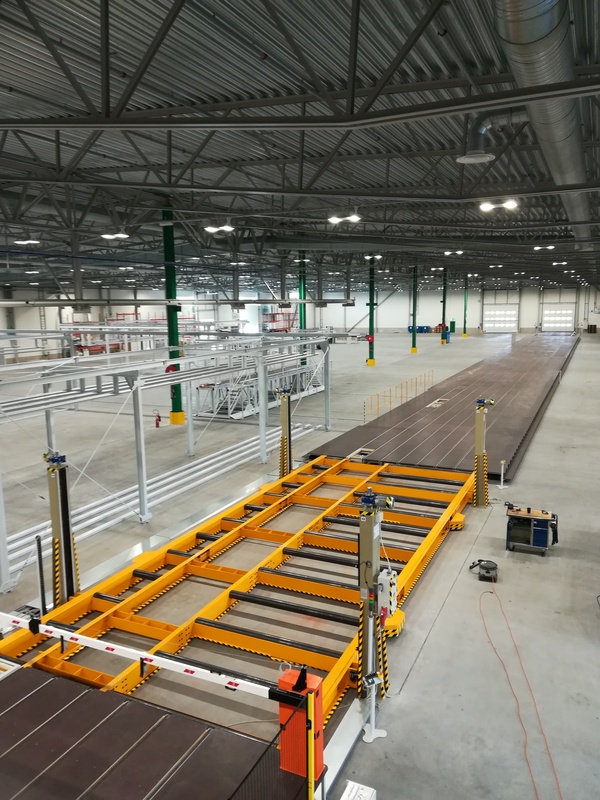 After the installation of the new production line Derome Plusshus will be able to manufacture 8 houses a day. In addition to the mechanical equipment and associated electrical control we added the extra features, Q-data and Q-Log. Via Q-Data you can collect data from the production line and ensure that the flow does not stop. Additionally, you can continuously optimize the flow. With the Q-Log module you get the desired data through an easy and manageable interface, which is compatible with all platforms. This means that you can be on the other side of the earth and yet keep an eye on your production on the phone or tablet. 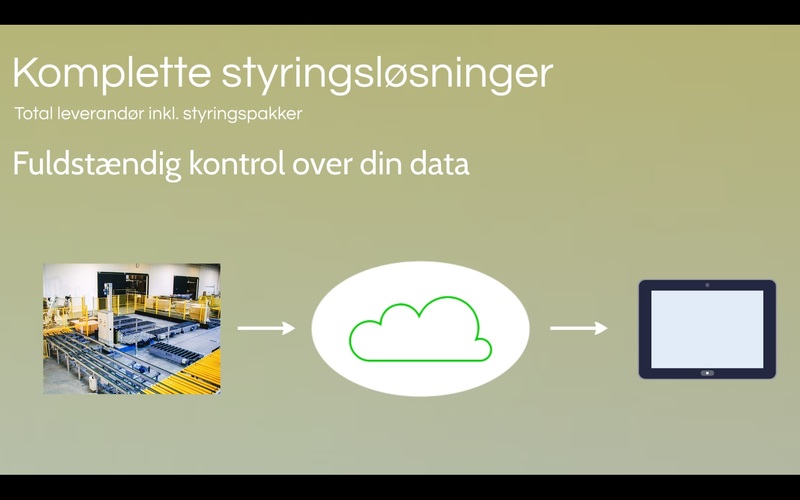 Ud over den mekaniske udrustning med tilhørende el-styring har vi tilføjet de ekstra funktioner, Q-Data og Q-Log, som en løsning til alle anlæg. 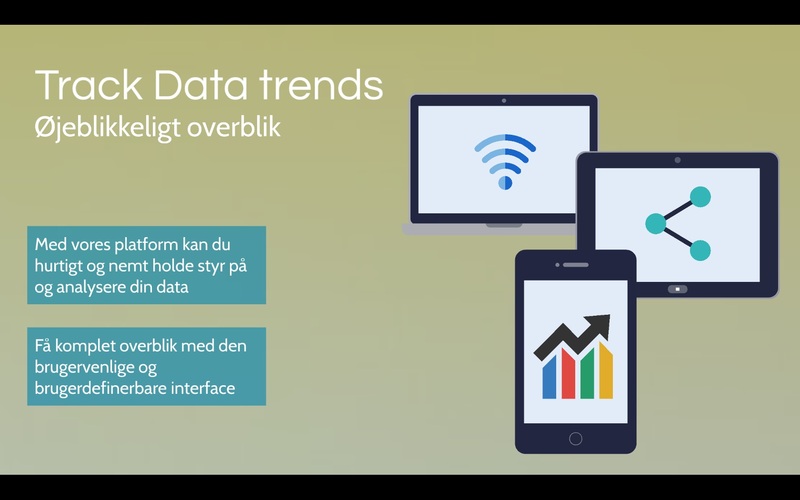 Via Q-Data kan man opsamle data fra produktionslinjen og sikre, at flowet ikke går i stå, ligesom man løbende kan optimere på flowet. 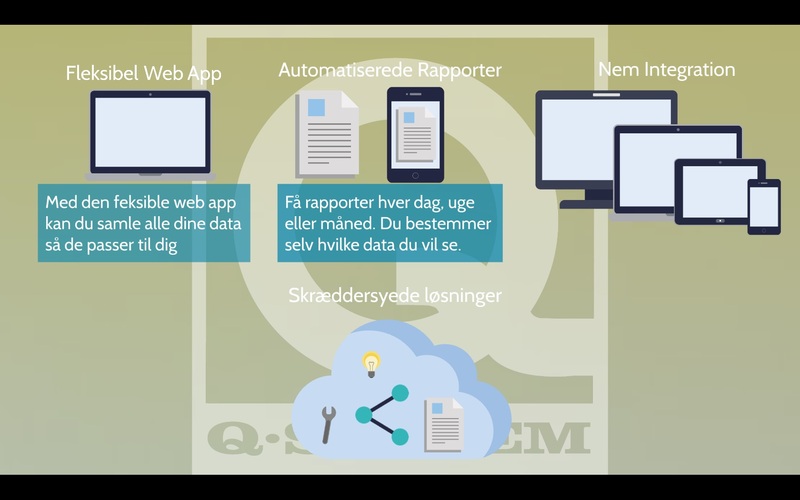 Med Q-Log modulet får man præsenteret de ønskede data via en nem og overskuelig interface, der er kompatibel med alle platforme. Det betyder i praksis, at man kan stå på den anden side af jorden og holde øje med sin produktion på telefon eller tablet.